Archeological digs and other sources provide accounts of jewelry production and its different uses dating to the dawn of human civilization. In very early times, jewelry was made from simple material from whatever came to hand, such as animal bones, pieces of wood and seashells. In one cave dating to the prehistoric age, jewelry from over 100,000 years ago was discovered! From that time, man has advanced in all fields, including jewelry making. 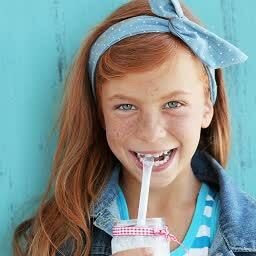 Today, one can find jewelry made from diverse materials: with diamonds, gold and other precious metals, to jewelry made as in the days of yore from bones, wood and seashells: there’s a place for everyone and every taste! This field of research deals with natural and artificial gemstone materials. Research is focused on the evaluation and categorization of stones, their identification, documentation of their unique characteristics, their mineral structure, means of polish, and more. This field is not just research, but also deals with practical issues around the cutting and polishing of gemstones. Our stones are evaluated by the company DGI, which specializes in the diamond trade. 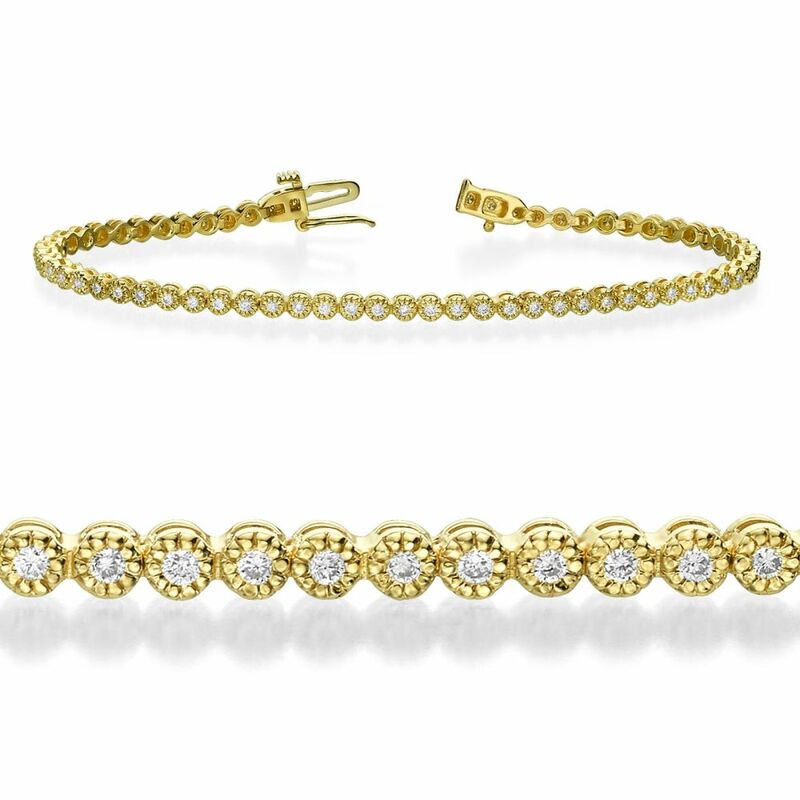 A certificate of quality from DGI is included with our tennis bracelets. The original color of the gold metal is yellow. However, through the years and with the desire for new and innovative designs, the development of pink gold came about. This color gold is created through the combination of gold and copper. Jewelry of rose gold have a unique appearance that can’t be ignored. 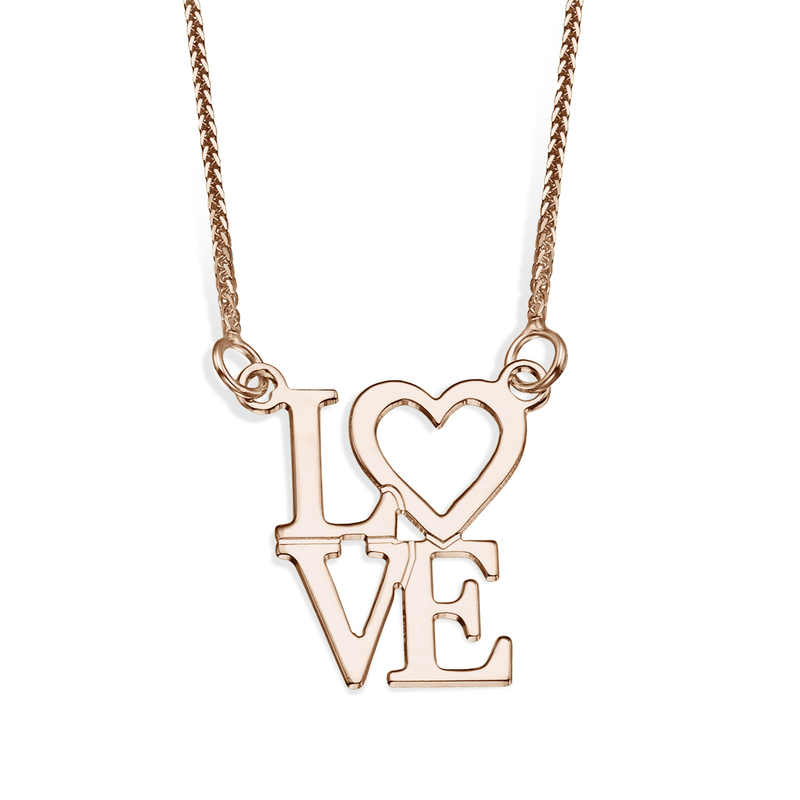 Here at youme we have several pieces form rose gold, for example our LOVE pendant. Jewelry of white gold also came about through consumer demand. The white color is ‘calmer’ and suits those who prefer this style, and those whose skin and hair coloring does not go so well with the yellow color of gold. White gold jewelry is created through the combination of gold with a metal called Radium. 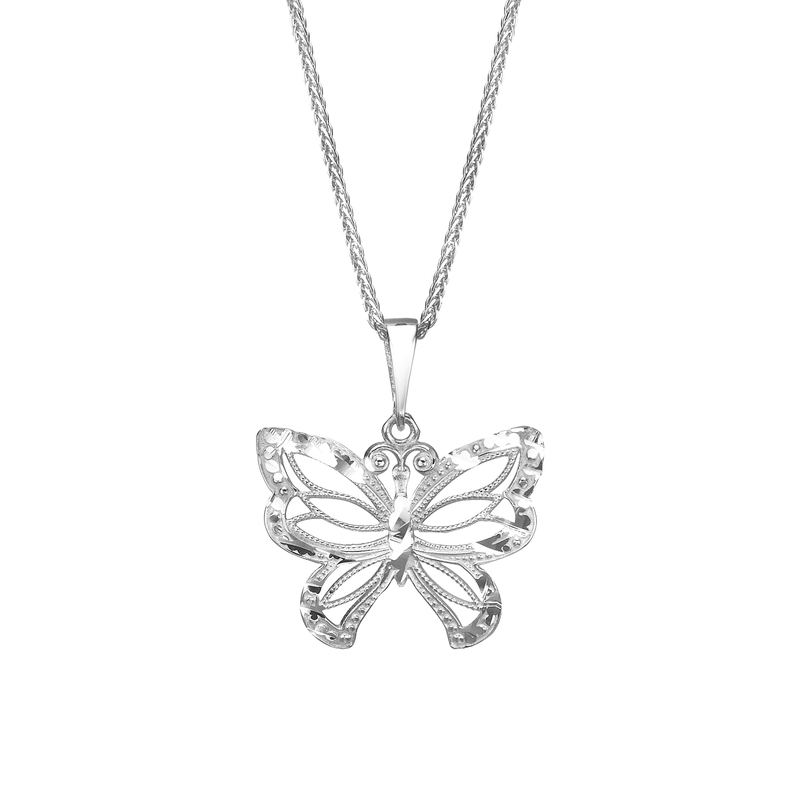 youme has a wide rang of white gold jewelry, for example our Flying Butterfly. This shiny gold metal has been with us already thousands of years. This metal has unique characteristics such as never tarnishing or rusting. Since the dawn of civilization and to today, gold has been considered a safe and dependable means of security for trade and commerce. The amount of gold in an item of jewelry is measured by the Karat, as will be explained shortly. 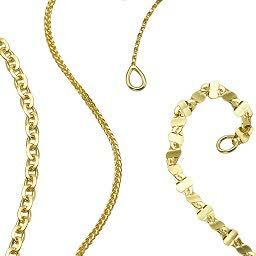 All of youme’s jewelry is made from solid 14K gold, and are made in accordance to the highest international standards. 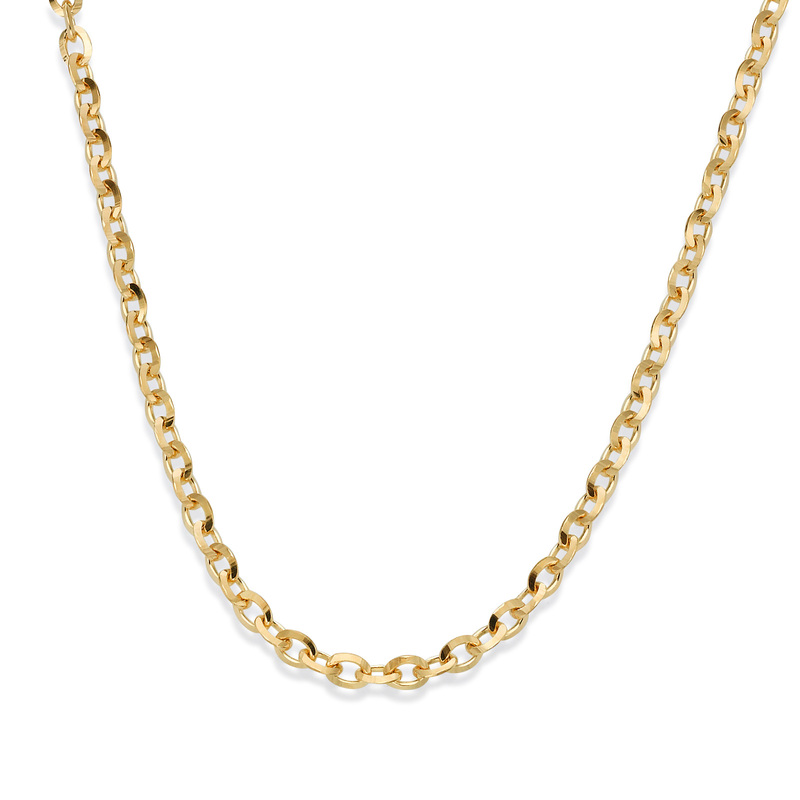 Below is an example of a necklace made from yellow gold in the Rollo style, with a thickness of 2.2mm. Zirconia - or to give it its full name: cubic zirconia - is a man-made gemstone. The zirconia stone was developed from the growing demand for jewelry with diamond-like stones but which are not as expensive, and which have other positive characteristics such as bold colors. youme’s zirconia jewelry are carefully made, and are full of sparkle and shine. 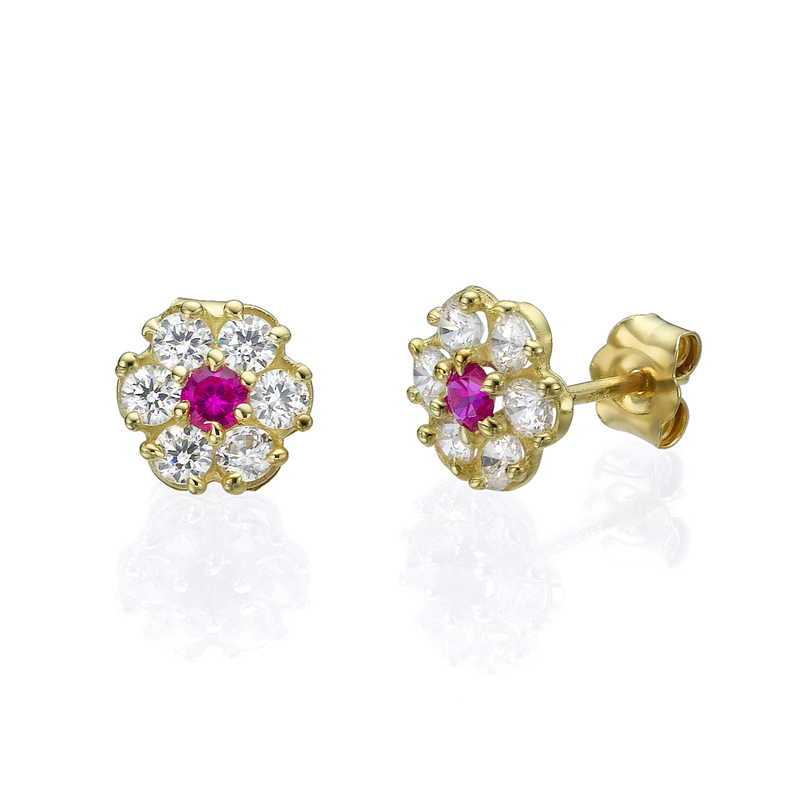 Here are some examples of earrings with colored zirconia stones, such as our Daisy Flower earrings. A diamond is made of pure carbon, and is created as result of transformations that took place over hundreds of millions of years ago. Diamonds are thought to be the hardest material in the world and apart from their use in jewelry are also utilized in industry, for example to cut glass. The quality of a diamond is measured through several aspects, more details about which can be found here. Hoops - Hoop Hoop Hurray! Hoop earrings come in a vast range of shapes and sizes. Their shape is usually round, but as you can see in the pictures below, there’s no end to the diversity and possibility of hoops earrings. 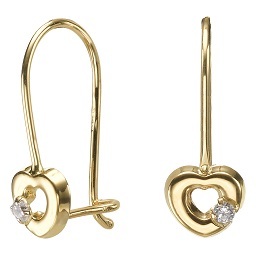 These earrings have a closure of the ‘Click’ kind. Hoop earrings are considered prominent earrings that can’t be ignored. You can see a range of our hoop earrings here. As well as our Twisting Hoop earrings. 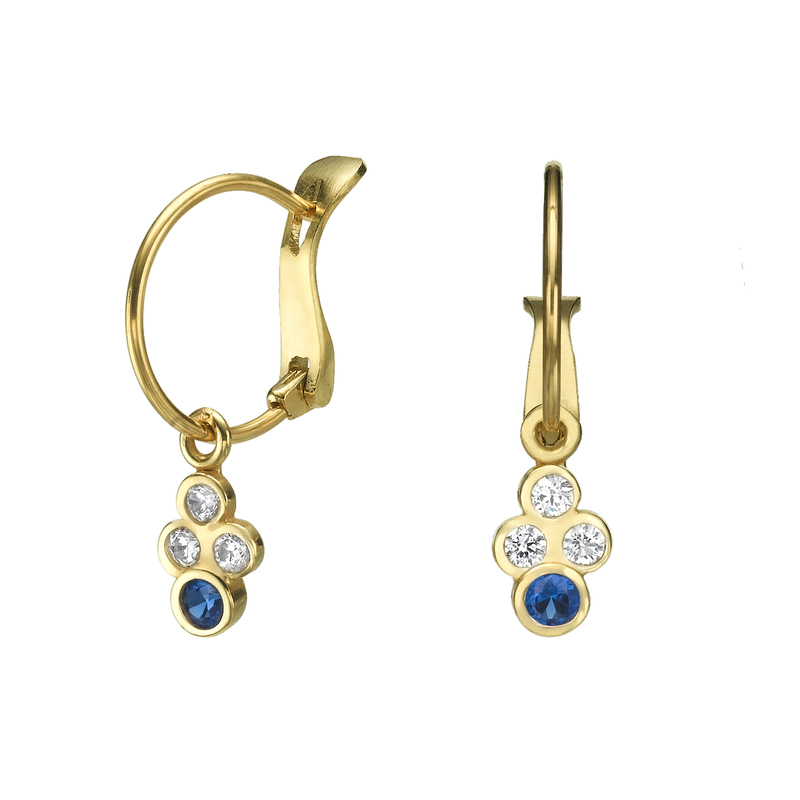 Stud earrings are small earring that sit close on the ear lobe, adding charm to one’s face and general appearance. 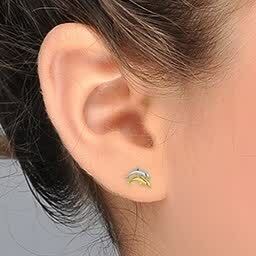 These kinds of earrings are especially suitable for little girls as the earrings’ small size ensures they won’t get caught in hair or clothes. 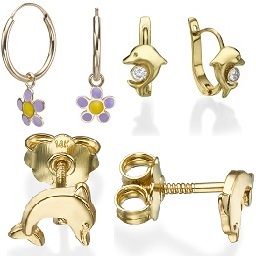 youme has a vast selection of stud earrings (and not just for little girls!) that can be seen here. 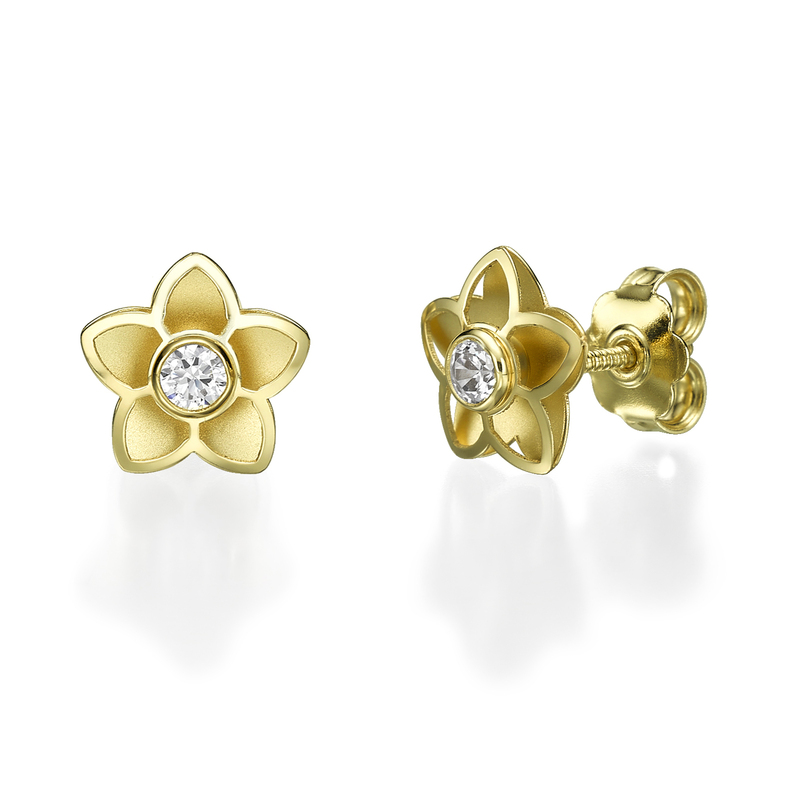 Our three-dimensional Flowery stud earrings are especially popular with little girls. 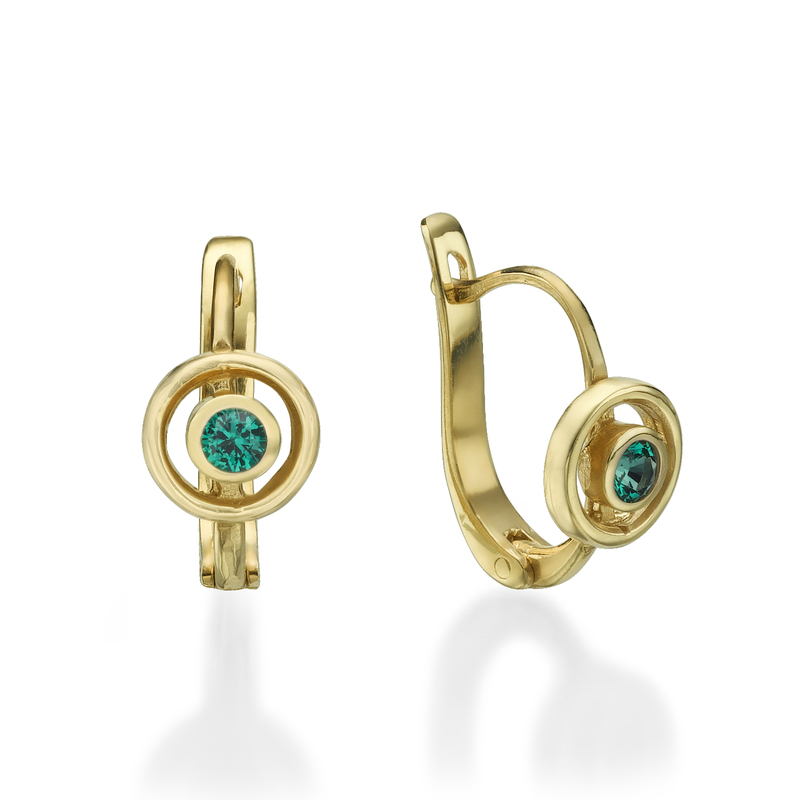 Dangling can sometimes have a little decorative element in the middle, while others are close-set hoop earrings like our fabulous Circles of Tamara. Other dangling earrings can be longer: This kind of earring has a thin wire to which is attached a dangling, decorative component. 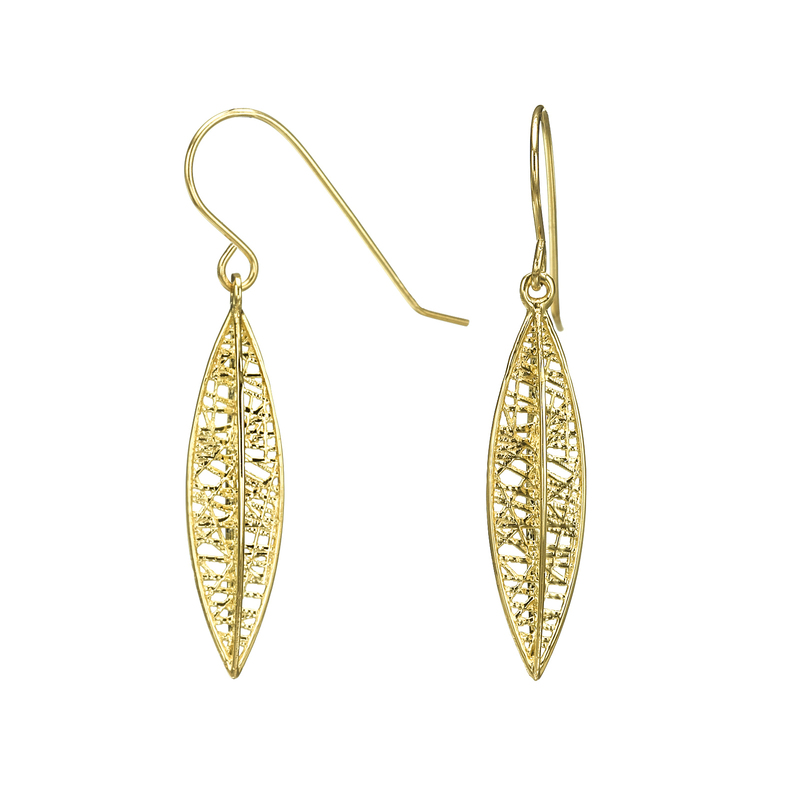 Our Gold Leaf earrings are a firm favorite among our customers. The pearl is a gemstone created in an especially interesting and unique way: a tiny bit of sand get into the oyster’s shell, and causes it to excrete a material to protect itself, eventually creating a pearl. In the past pearls were considered to have special powers of fertility and longevity. Today pearls are used as decorative elements in gold jewelry or on their own. 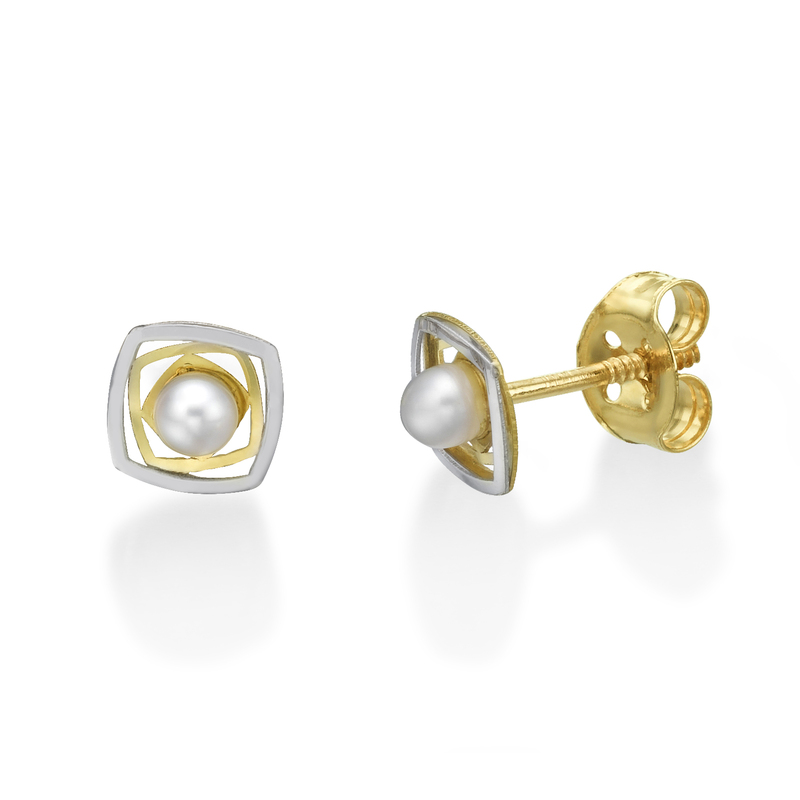 In youme’s pearl collection you can find our Lucy Pearl earrings, which combine yellow and white gold with a pearl. 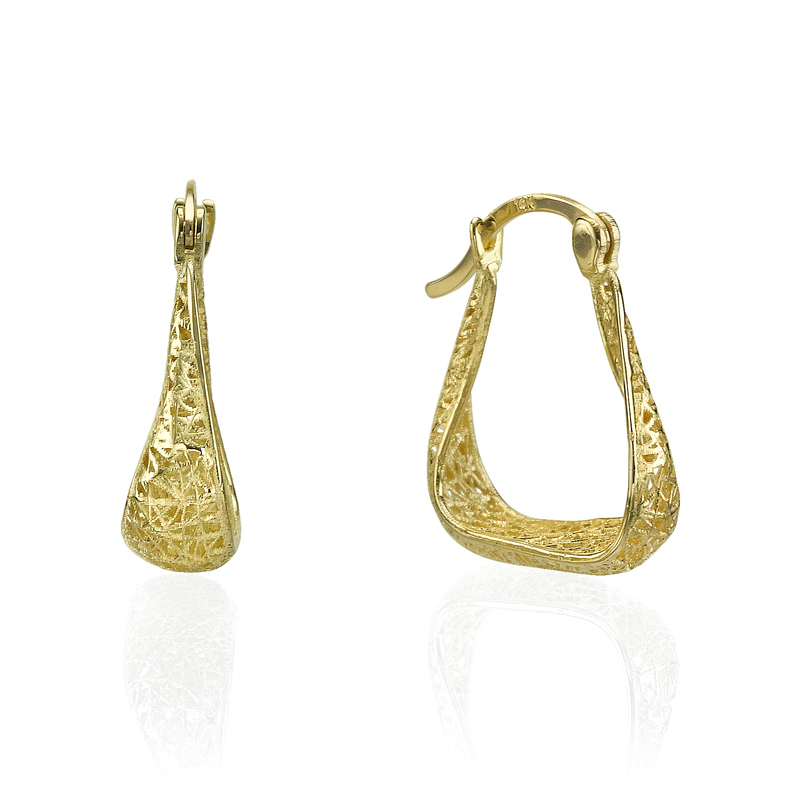 The need for innovation in the world of jewelry led to the development of new and different styles, some of which did not endure the test of time or taste, but others did… One of these is an earring with a dangling charm: this is a hoop earring with a decorative element which adds a unique facet, character and beauty. 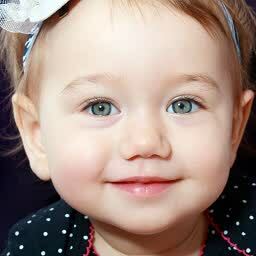 See for example our Circles of Sophia. 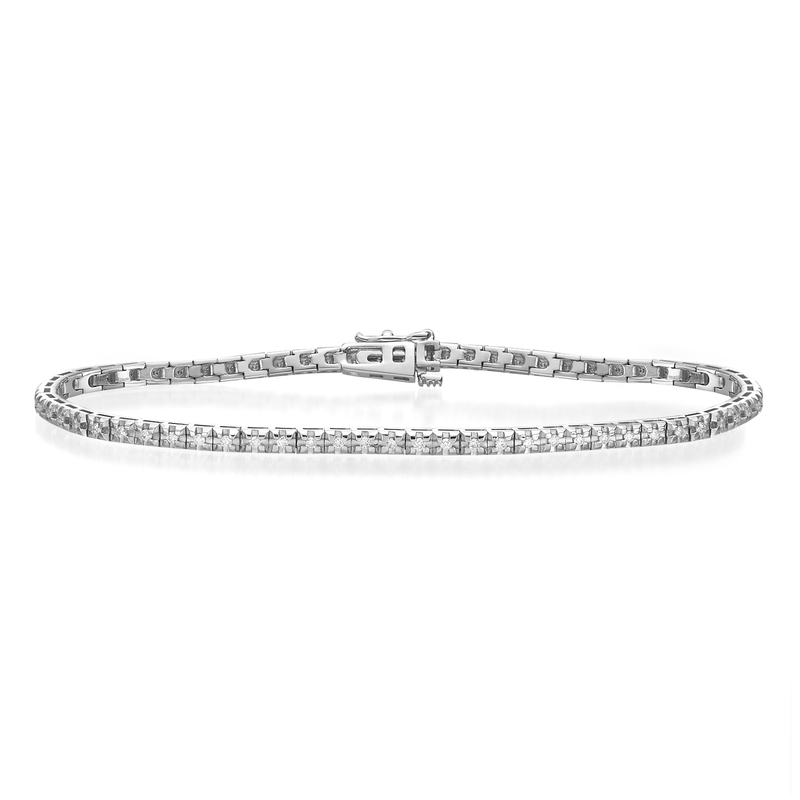 Tennis bracelets got their name completely by chance: a famous tennis player requested to pause an important match due to her bracelet breaking and her fear of losing the diamonds in it. 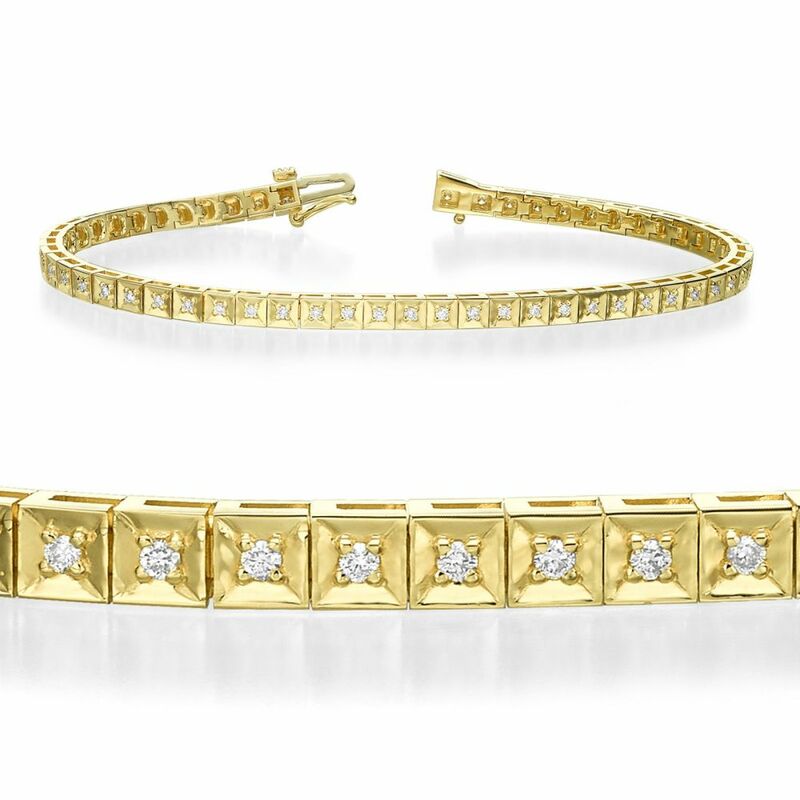 Since then, for marketing reasons apparently, diamond bracelets which are made with a particular technique are called “Tennis Bracelets”. However, have no fear of any such problem arising with our bracelets! Our bracelets have a special safety feature which ensures that this luxurious bracelet stays in place. Another characteristic of this bracelet is its flexibility and precise polish. An engraved necklace is an item of jewelry made up of a necklace and an engraved pendant. A name or number can be engraved on it, as you prefer. 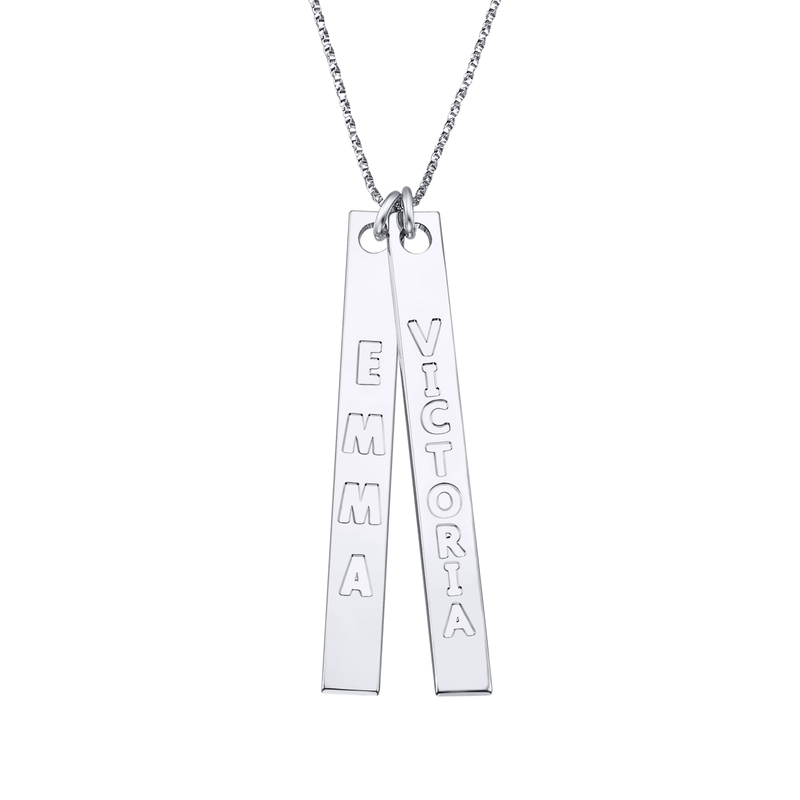 The engraved necklace is custom-made to order, and produced with a computerized machine operated by a trained technician. An example of an engraved necklace is our Loving Hearts necklace, which is available in yellow, white, or rose gold, or in silver. 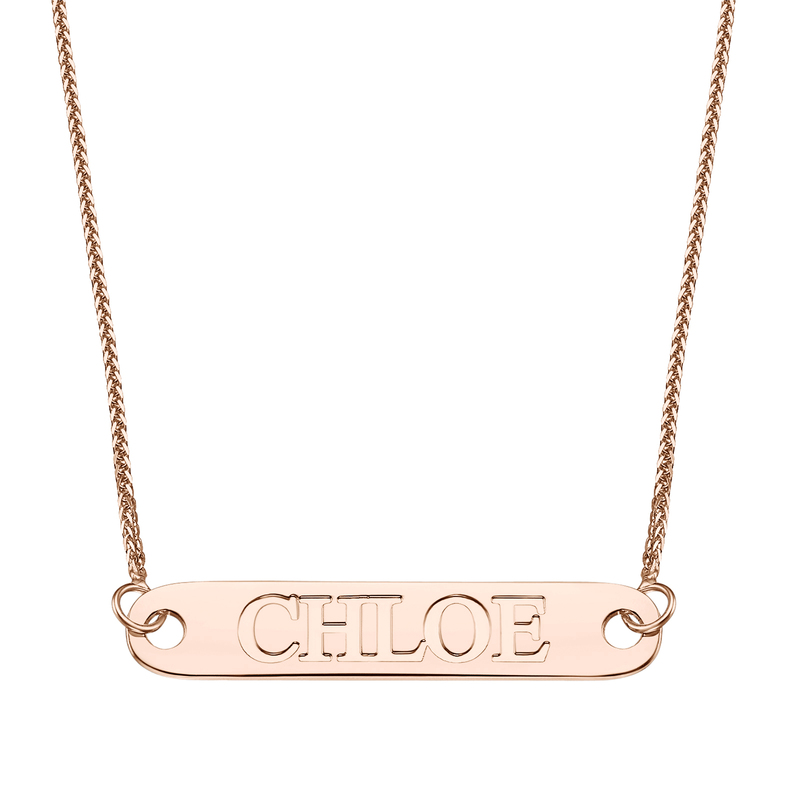 A bar necklace is also a kind of engraved necklace: the bar can be engraved with letters or numbers. Some of the pendants are bejeweled with diamonds, while others have a horizontal bar, such as this one. 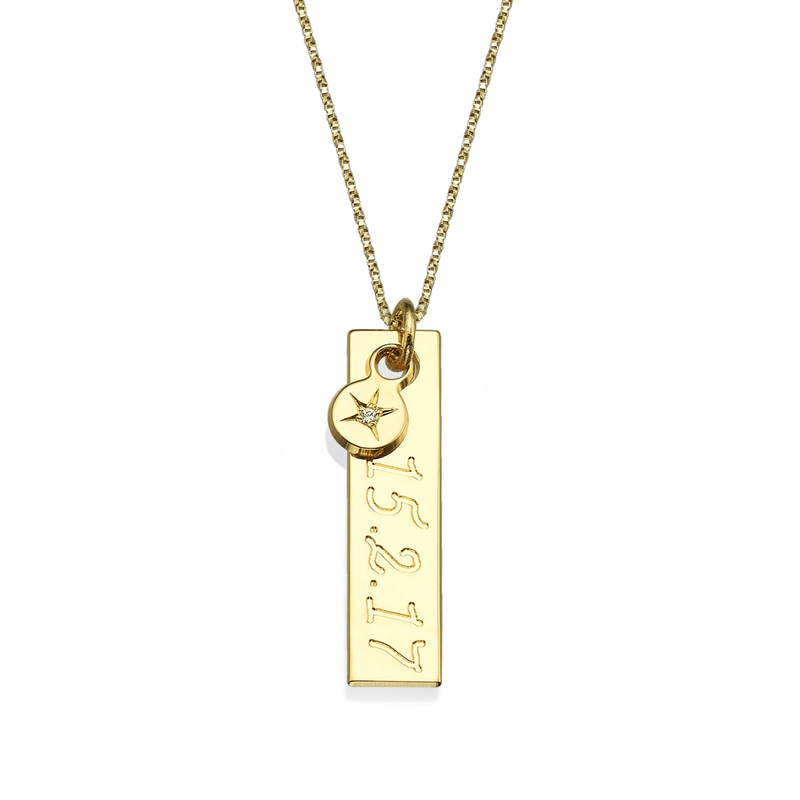 In other necklaces the bar is vertical, such as this beauty, which includes a decorative star embedded with a diamond. There are also necklaces with two bar pendants, for example this necklace. On the pendants can be engraved the name of a couple, or children. to help you design a name necklace. You can choose it all and create your own unique design- the font, type of metal, color of the metal, necklace length, and to add charming decorative elements.